The Jaguars need to give quarterback Blake Bortles a weapon. The Jaguars need to add a proven, play-making receiver. 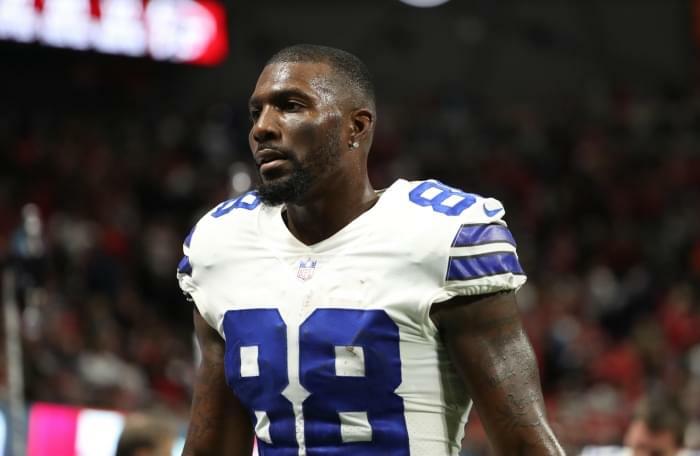 They need to sign former Dallas standout Dez Bryant. The Jaguars were wise to hold off on signing the mercurial Bryant prior to the regular-season opener. The 29-year-old Bryant now comes with little risk. The collective bargaining agreement protects teams that sign veterans after Week 1. If the Jaguars signed Bryant to a 1-year, $6-million contract, they could cut Bryant and only owe him 25 percent of the remaining contract. Vested veterans on the roster heading into Week 1 have their contracts fully guaranteed for the season. So, the Jaguars could gamble on signing Bryant and get out of the deal relatively cheap if he isn’t what they hoped. But, what if he is? This is a Super Bowl or bust season. The defense will never be better. That’s why Jaguars personnel chief Tom Coughlin and general manager Dave Caldwell must sign Bryant today. Bortles needs a jump-ball receiver. The Jaguars escaped New York with a 20-15 win over the Giants, but it’s clear the offense lacks a physical presence at receiver. Donte Moncrief has the size, but he’s more DeSean Jackson than Vincent Jackson. He’s got impressive vertical ability, but he lacks the physicality Bortles enjoyed with former Jaguars receiver Allen Robinson. Bortles targeted Moncrief five times against the Giants. Moncrief caught one pass for 14 yards, while allowing Bortles to be picked off by cornerback Janoris Jenkins on a 50-50 ball. Second-year veterans Keelan Cole and Dede Westbrook have potential but aren’t built to consistently win physical fights for the ball. Second-round rookie DJ Chark might be that player in the future, but he played 13 snaps on Sunday. The Jaguars have to be able to convert first downs through the air. Marqise Lee was a major part of that, but he’s out of the season with a blown knee. Bortles needs a security blanket. Bryant is likely past the days of being a 1,000-year receiver, but he remains one of the most physical receivers. He caught 69 passes for 838 yards with six touchdowns for the Cowboys last season. The passing game also needs a boost because it might have to shoulder more of the load than Jaguars coach Doug Marrone envisioned. Second-year running back Leonard Fournette suffered a hamstring injury against the Giants. Marrone described the injury as “minor” on Monday, but if it lingers the offense is in trouble. Even if Fournette heals fast and is able to play most of the season, the Jaguars need to bolster their physicality on the perimeter. There are enough leaders in the locker room to make Bryant feel welcomed but know his place. There is enough salary-cap space now and plenty of options available to keep it in hand for the 2019 season. There is no real risk to this. You sign Bryant and cut Rashad Greene. You just got better. Caldwell mentioned you have to take risks to win when he moved up to draft linebacker Myles Jack in the second round of the 2016 draft. It’s time to take another gamble.